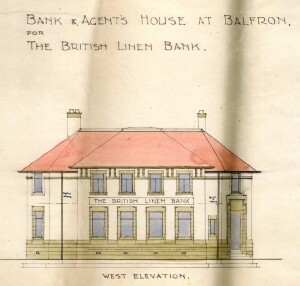 Bank and Agents House, British Linen Bank, Balfron, 1923. 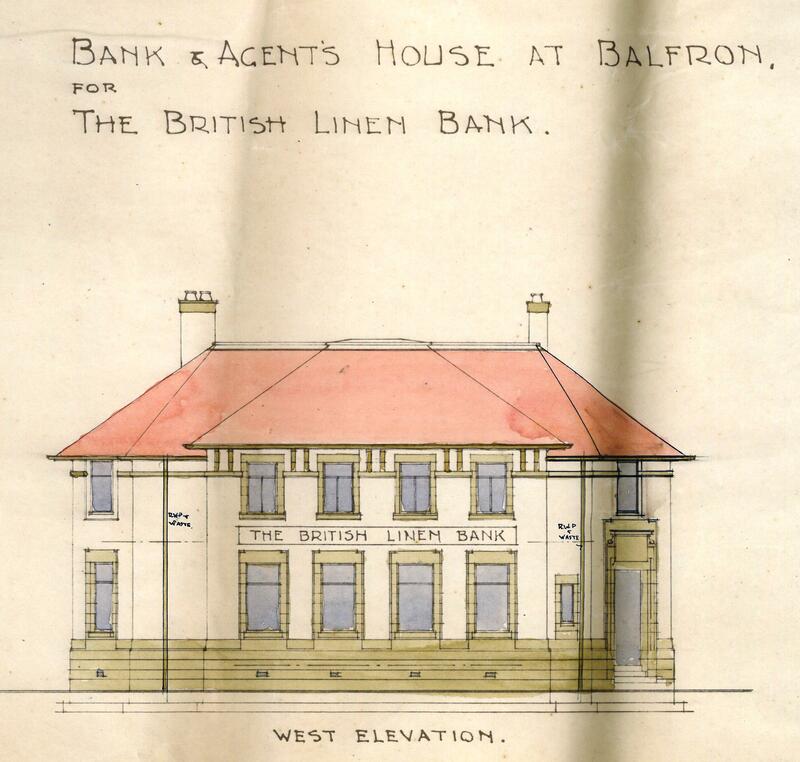 On the corner of Buchanan Street and Cotton Street in Balfron is the site of the former British Linen Bank. The British Linen Company was formed in 1746 by a Royal Charter in Edinburgh. Its original aim was to promote the linen industry but moved into banking in the 1760’s and was formally acknowledged as a bank in 1765. In 1919, Barclays Bank took over most of its stock as the British Linen Bank struggled to operate in time of over banking in Britain. In 1969, an amalgamation was made between the Bank of Scotland and the British Linen Bank with Barclays selling the rest of its stock to the Bank of Scotland in 1985. 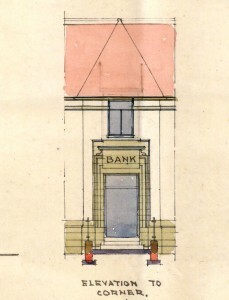 Today, the building is currently owned by the Bank of Scotland. Valuation rolls for Stirling County confirm that the British Linen Bank took over the building in 1889, although it is unclear who occupied the building before. 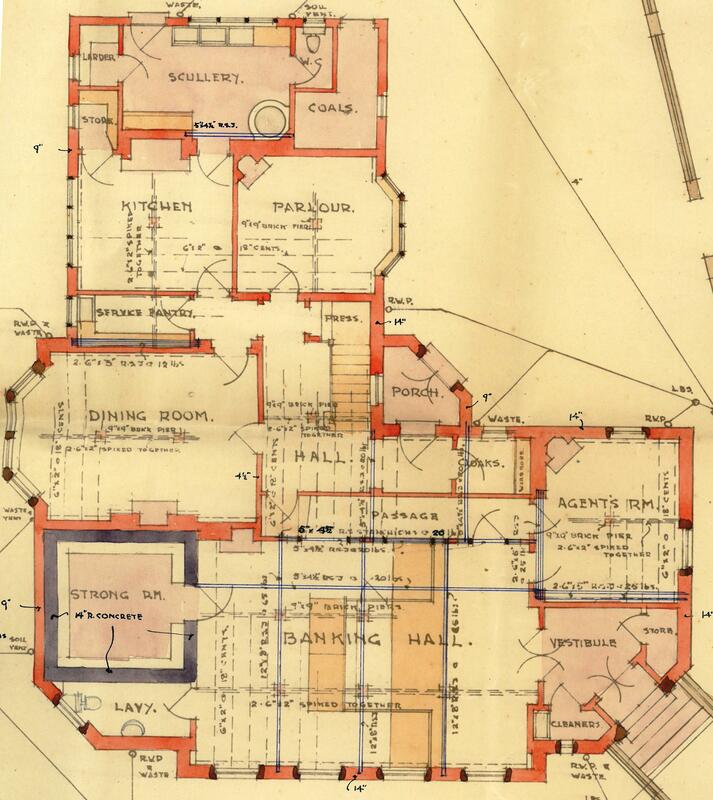 In 1923, the building appears to have been redesigned. The alterations were made by Glasgow architects William Ross and Allan Pollok McKenzie Buchanan. 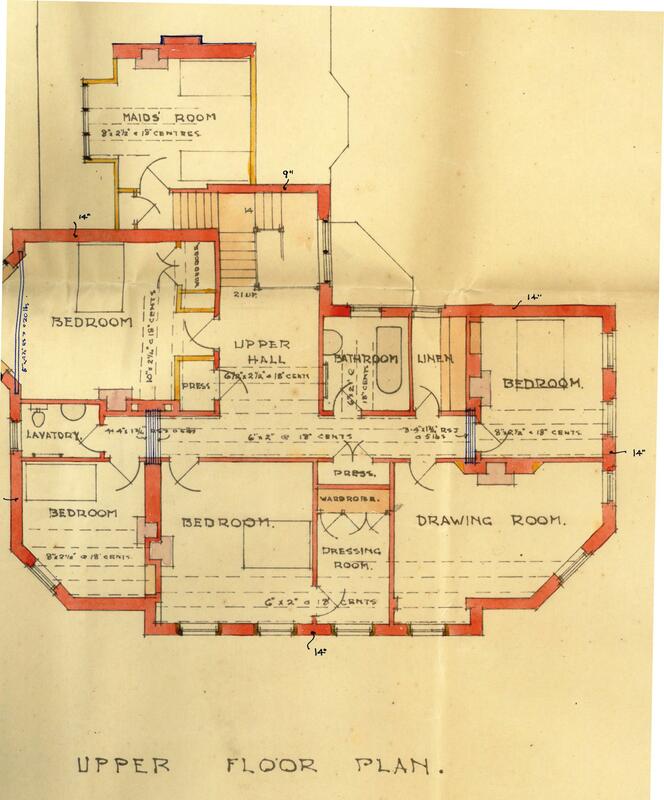 The upper floor plans of the building detail the living arrangements of the bank with four bedrooms present along with a servant’s room. 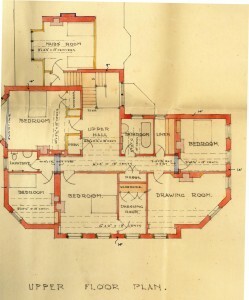 The ground floor plans detail the arrangement of the bank. 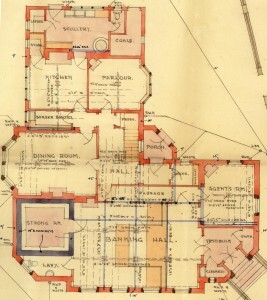 The banking hall lay to the left of the entrance with a dining room and parlour present at the back of the building. In 1923, the house was occupied by J. T. Mitchie with Alexander Morrison the caretaker of the building. J. T. Mitchie was also the Secretary of Balfron Golf Club from 1922 – 1936. 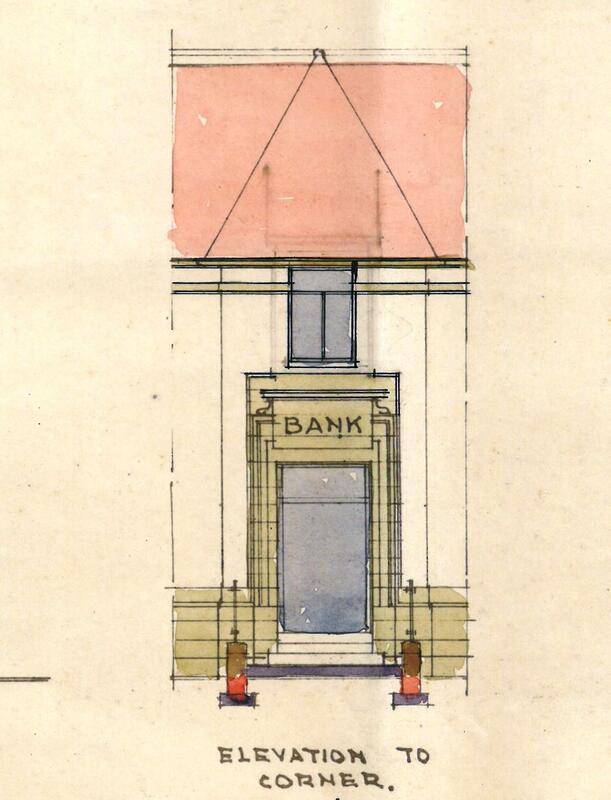 The bank and agents house in Balfron was an early project for architects Ross & Buchannan. 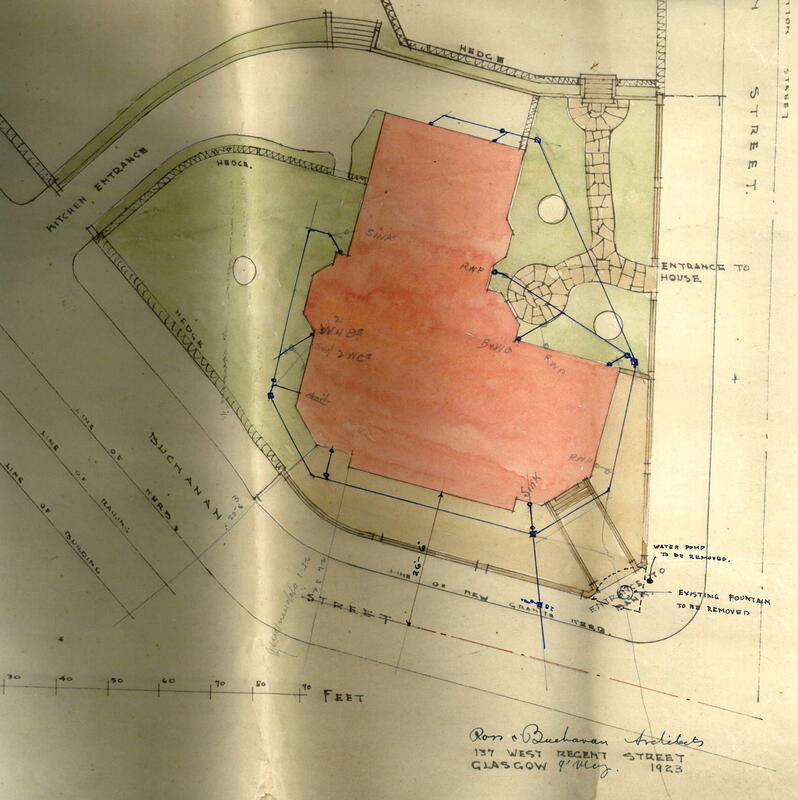 Born in Glasgow and based at 137 West Regent Street, they operated from 1920 -1936 and were involved with the design of additional properties in Balfron. 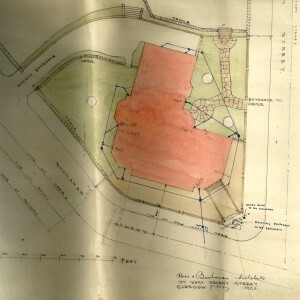 This included houses for the Balfron Building Company.